Senequier believes in a vocal advocate of the power of ethical and responsible investment practices. Since 2008, Ardian has pioneered the practice of sharing a portion of its capital gains on successful exits with employees of the companies involved. Ardian also shares its own profits amongst its employees, with 80% of Ardian staff also being investors in the company. This helps the organisation thrive because employees are willing to invest more in the company because their interests are fully aligned. Success is achieved by sharing many of the aspects of the business with staff. The most successful companies are the ones that share their capital amongst their employees….when we redistribute wealth, we create value…we create energy, we create more! 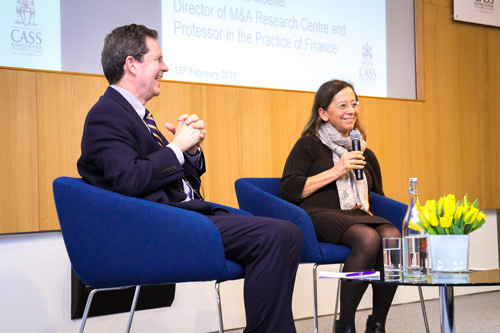 Dominique Senequier is internationally recognised as one of the predominant figures in the Private Equity world globally. In 1972, she was one of seven women to be admitted to the École Polytechnique (founded by Napoleon), the first year where women were admitted. She also holds a DEA in Banking and Monetary Economics from the Sorbonne University in Paris. She began her career as an Insurance Commissioner for the French Ministry of Finance, where she worked from 1975 until 1980. She then joined the French insurance conglomerate, GAN, where she worked until 1996. In 1996 she joined AXA Group and founded AXA’s private equity activity. In September 2013, the private equity branch spun off from AXA Group and was renamed Ardian. 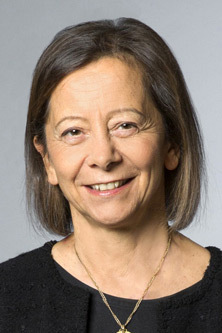 She is vice-president of the supervisory board of Hermès. She is also a member of the Institute of Actuaries. Since 2012, she has been ranked every year in Fortune’s annual Most Powerful Woman International List and, in 2012, she was made a Chevalier de la Légion d’Honneur, the most prestigious recognition in France. In 2013 Ardian managed $36 billion in assets with a team of less than 300 employees in 10 offices worldwide. Today, Ardian has $60 billion in assets under management, making it the biggest European private equity company and fourth worldwide. The company has 12 global offices and employs more than 430 employees.